What are the ski conditions like right now at Okemo Mountain Resort? Read commentaries and see photos from fellow skiers and riders sharing their on-mountain experiences. Check back daily for new user-generated firsthand reports from Okemo Mountain Resort to see ski conditions, new snow and general stoke from the slopes along with images. Firsthand reports are submitted via the OnTheSnow Ski & Snow Report App. Download the free app to be part of the conversation. 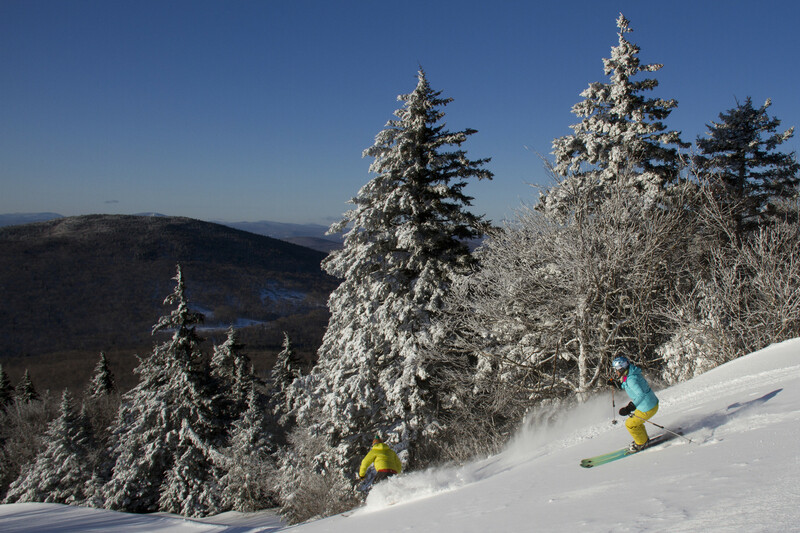 There’s a reason we’ve made the 4-hr trip 5 times this winter: Okemo always delivers. They do such a great job here. Awesome conditions on Tuesday, all high-speed, detachable lifts were back up and running after being down on Sunday and Monday. Nice snow over a coat of ice. Main lifts are shut down though. Great conditions today and little to no crowds all this week. You could not tell it was school vacation week. Mountain was strangely empty. Awesome conditions today, and not very crowded ! Good conditions. Storm came through with decent amount of powder. Mostly gone today but solid grooming. Some ice late. No lift lines & good skiing overall.